Created by NSFP, Family Weekends serve as an opportunity for students’ families to visit UF and connect with campus, faculty, and staff. Family Weekends are the largest programs that the Campus Diplomats participate in for the DSO. The chairs for the two programs are required to have constant communication with NSFP staff and third party partners. Apple for You focuses on faculty and staff appreciation. Students are able to write notes to their professors, mentors, TA’s, etc. telling them how much they appreciate them. We deliver the notes along with a small gift. This program aims to attract and connect international students with other students and various organizations. 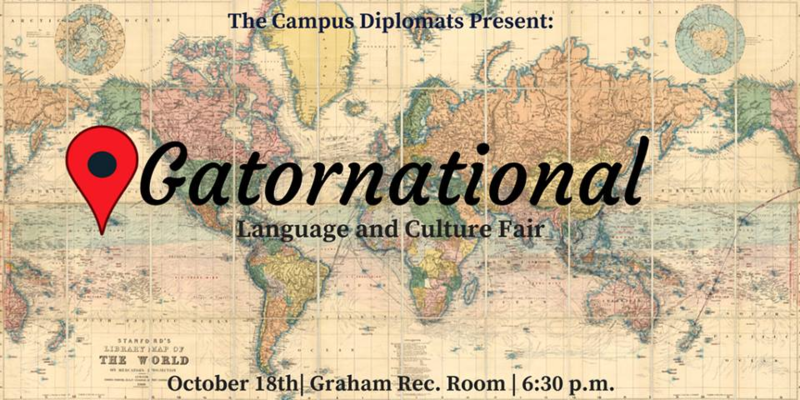 It serves as an opportunity to learn about a variety of different cultures and meet students from all over the world. Welcome to the Sunshine State takes place at the beginning of every fall semester. This program is designed for out-of-state students and aims to connect these students with campus resources, the Campus Diplomats, the Dean of Students Office staff, and one another. The Campus Diplomats bring the Halloween experience to Maguire Village in order to extend the UF community to the on-campus graduate students and their families. The program includes a haunted house, a costume contest, and festive activities. This program’s goal is to educate UF students about the student honor code and the ethical decisions they face daily, such as plagiarism and cheating. The chairs keep constant communication with Student Conduct and Conflict Resolution when planning this program. At the beginning of each semester, NSFP and the Campus Diplomats plan a series of events tailored to accommodate new students during their transition to campus. It is designed to help students feel included and comfortable during their first few weeks of school. 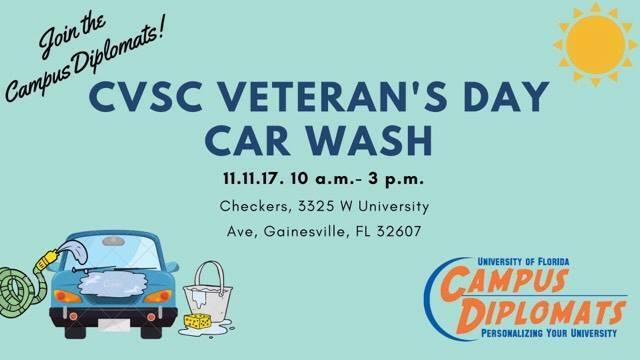 Our biggest fundraiser is our semi-annual car wash for the Collegiate Veterans Success Center. We sell tickets, wash cars and scooters, and hang out with all the veterans. All proceeds then go to funded to CVSC.